If you are a CRMLS Member, these steps *will not* work for you. CRMLS members only have the Professional website option available. For CRMLS members, you can start on Step 4. If you are a CRMLS member and you do not have a Personal Website through Proxio, please submit a ticket for help if you have any issues. 3. 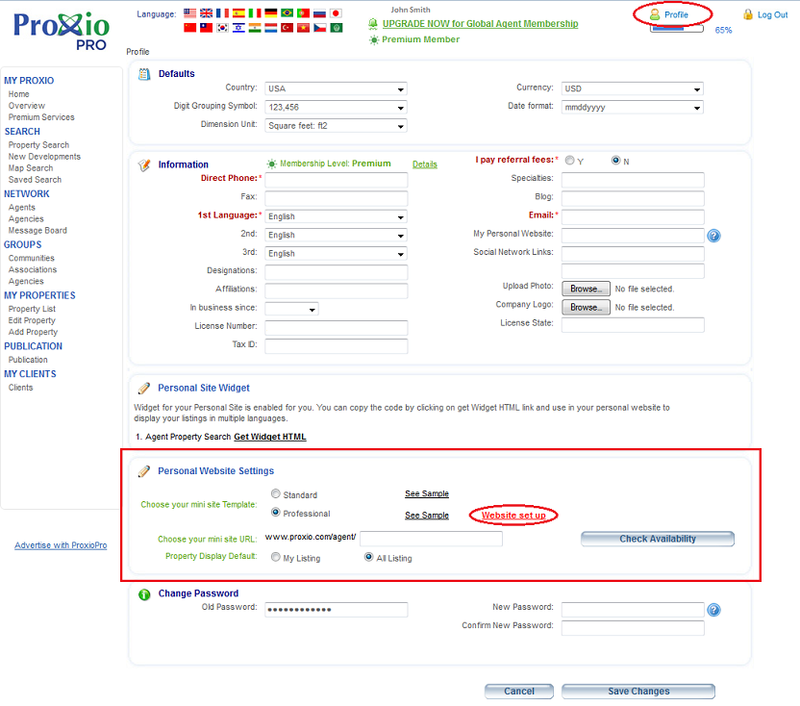 You will see the section labeled "Personal Website Settings" and click the bubble next to Professional if not already selected to set up the Professional Version (the words in red Website set up will appear) If you wish to have the Standard version, nothing further is needed and you can skip steps 4. and 5. 4. Click on the link Website set up under “Personal Website Settings” and follow the steps to complete your Professional website page. The 3rd page of the website setup will have a Save button, that once clicked, will save the information you have entered for your Professional website setup. The screenshot above is only an example and you may not have the benefit of Personal Site Widget or CRMLS users will not have the Standard version. You can either enter your website address (URL) in a web browser to view your Personal Website or you can find it on your Agent Profile. Please see another FAQ on how to find your Agent Profile by CLICKING HERE.